From time to time I explain concepts and ideas to my students. Often this pops up in a statistical context, when one has a non-linear dependency between the to-be-predicted variable and the predictor-variables. By transforming the predictors, relationships can be made linear, i.e. a logarithmic (exponential, quadratic etc.) relationships can be modeled by a **linear** model. 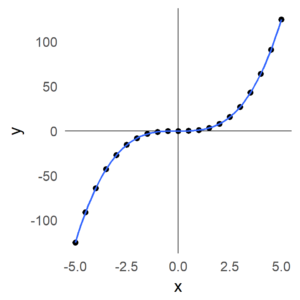 I have a very visual understanding on basis-functions / non-linear transformation of variables in terms of stretching / condensing the basis (the x-axis here). This can also be applied to the generalized linear model (here for logistic regression). 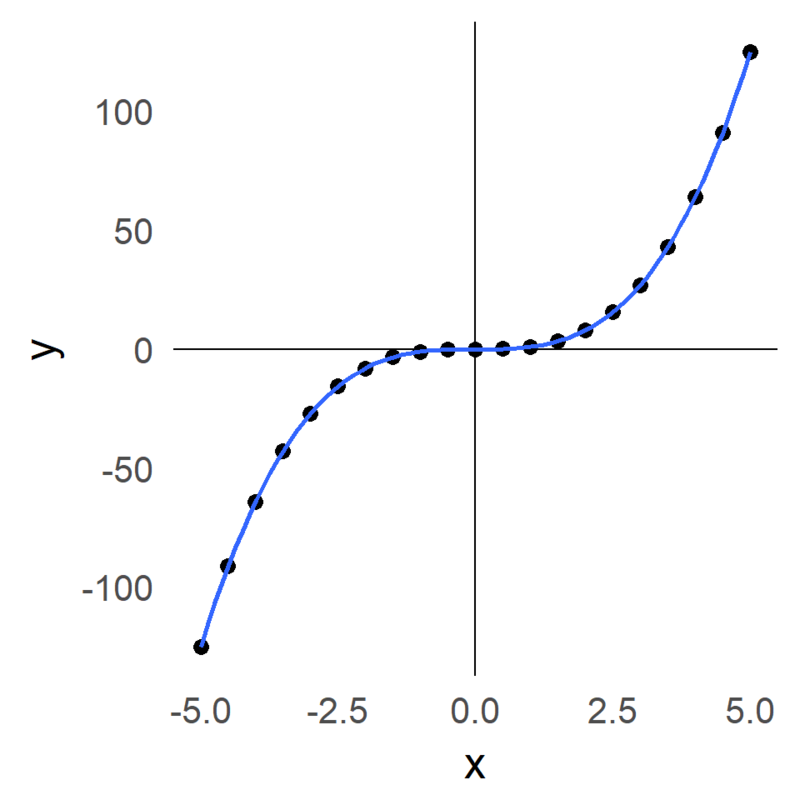 Imagine that the x-axis of a plot is made of some kind of elastic material, you can stretch and condense it. Of course you do not need to stretch every part equally, one example would be to stretch parts that are far away from zero, exponentially more than parts that are close to zero. 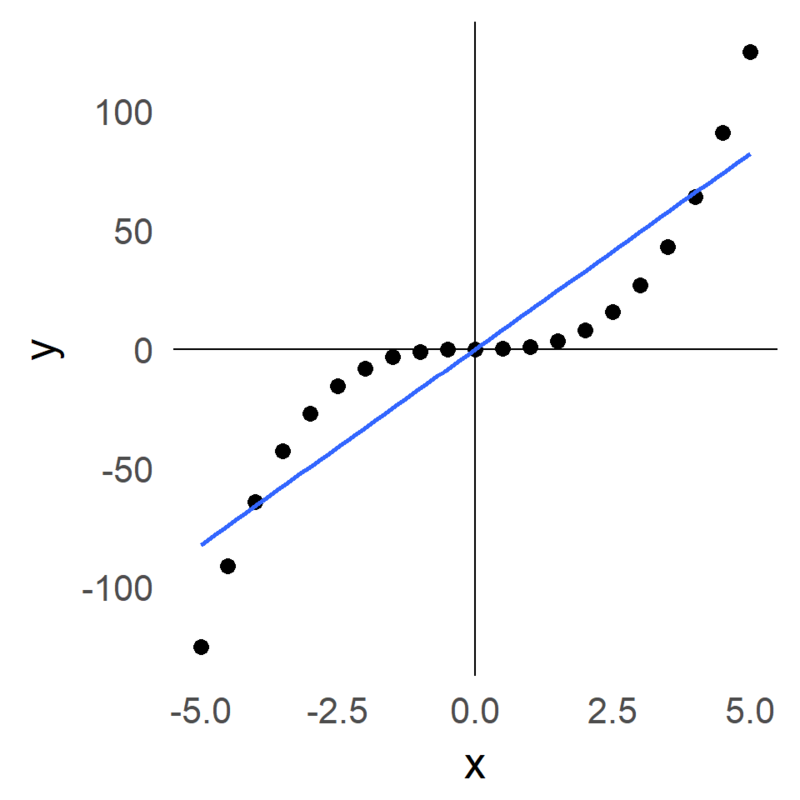 If you would have an exponential relationship ($ y = e^x$) then $y$ would now lie on a straight line. 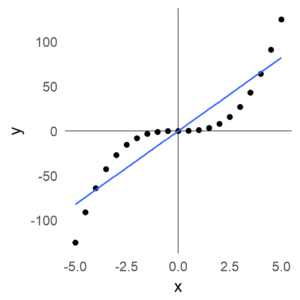 Imagine you have a non-linear relationship, by stretching the x-axis in accordance to that non-linear relationship, you will have a linear relationship. 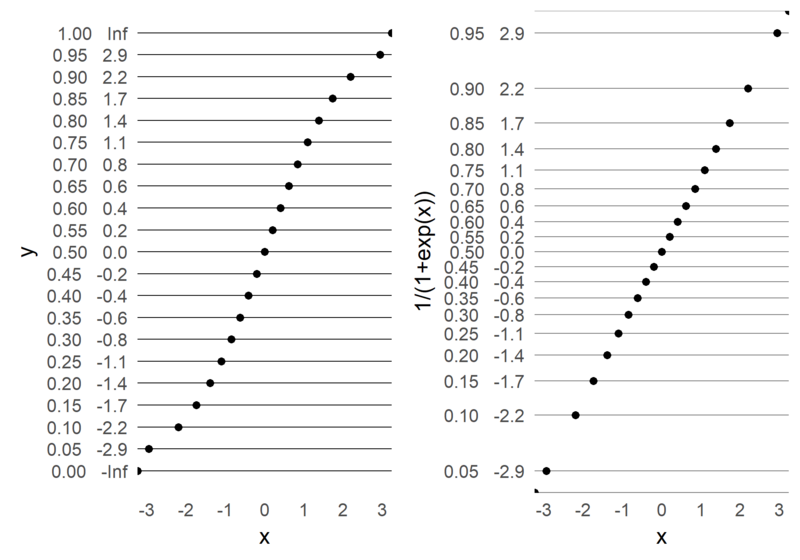 Usually we would have some non-linear dependency on a probabilty of e.g. success. That means, with a low value of x, your success-chance are low. To model this kind of data, one can transform the y-axis using $g$ above.